During the Spring 2018 travel season (March - May), Xperitas groups traveled to seven different countries for French, German and Spanish language immersion experiences. At the conclusion of each program, we send out surveys to our teachers and group leaders to gather feedback about different aspects of their experience. We use the results to improve our programming for future travelers, but we also like sharing some of the highlights from our group leader surveys. Overall, it sure sounds like it was a great spring for our language immersion programs! 100% of our teachers surveyed reported that the program was a culturally rich experience for their group. 97.37% of teachers surveyed reported that they were satisified or extremely satisfied with our program planning support. 100% of teachers surveyed were satisfied, and 94.74% were extremely satisfied, with their interaction with the Xperitas staff. Our Program Managers scored a 9.49 (out of 10) performance rating! Surveyed teachers rated our program's overall language immersion experience an average of 9 (on a scale of 10). We loved all the activities. There was such a great mixture of active components such as hiking or kayaking mixed with historical components such as learning about the importance of the location in lake Nicaragua in pirate times. This got all balanced out with fun, hands-on, cultural experiences like making chocolate or learning how to salsa dance. Everyone loved the homestays and mine exceeded my expectations. All hosts were warm, welcoming, and went out of their way to give extraordinary experiences to us all. I also appreciated the flexibility that we had within our stays and on our own in Paris, to add walks and activities that we wanted to take the students on. I feel so fortunate that I was able to co-lead a group of students on this exchange to France. My first experience as a co-leader was well-planned and I felt secure and confident in the program's structure and supports for our group. Communication with staff before and during travel was great: easy, seamless, and supportive. Most importantly, families felt very supported through the registration and preparation process. Xperitas provides a valuable program that goes beyond other tour-style programs. The home-stay aspect and cultural exchange provide opportunities for students that they may not ever get again in their lives. Leaders are well-supported through the entire process. Any questions are easily and quickly answered through email or by phone, before and during travel. It is apparent that Xperitas cares about providing a valuable opportunity for leaders and students. I keep coming back to Xperitas again and again because I believe you deliver the perfect balance of cultural connection backed by superb customer service and leader support. It's been a wonderful 24-year relationship! Thank you, kind people! It was a fabulous program that gave students such a different perspective of Mexico! 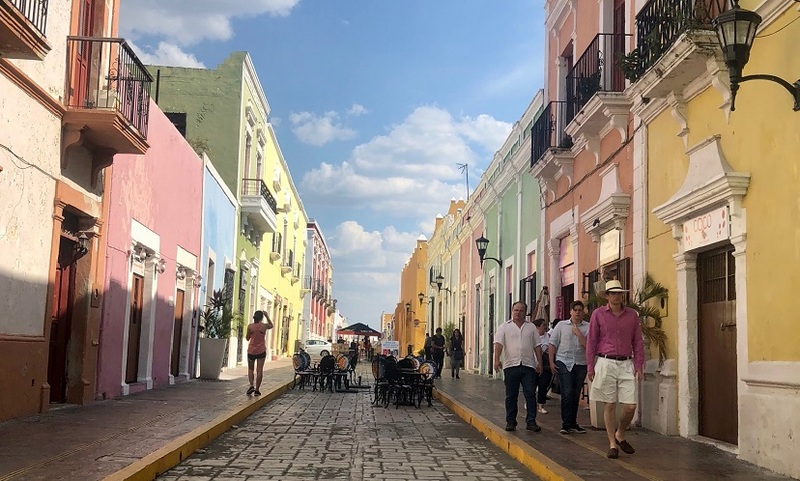 They were able to connect their prior knowledge to these new experiences, while also receiving new perspectives on the Spanish speaking community. The company is so prepared and creates incredible trips! Don't waste your time looking into other companies. You'll figure out that Xperitas is better, and you might as well save your valuable time. Thank you for the kind words from our teachers and group leaders, with whom we partner to make their language programs a success. You truly help us advance our mission of transforming lives through shared global experience and intercultural learning!